If you just launched a website, and you’re sitting back waiting for the leads to roll in, you’re going to be waiting awhile. A website doesn’t simply launch and start attracting new leads. For a website to effectively attract new customers and clients, it must be built around a strategic Inbound Marketing plan. 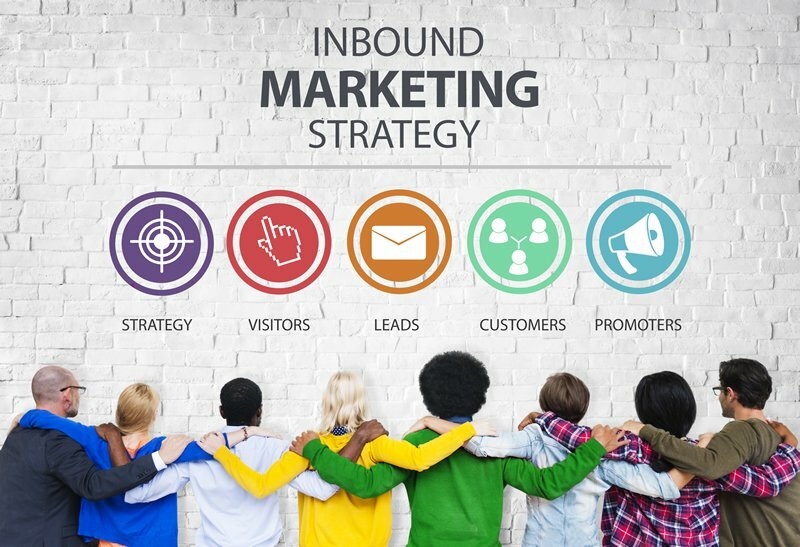 Inbound marketing is a strategy that draws targeted audiences to your website and converts them into valuable, qualified leads. A website can’t do this all on its own. For all the pieces to work together, it needs a strong inbound marketing strategy that includes each of these five essential elements. A strong inbound marketing plan starts with a clear and detailed buyer persona. What your target customers needs and wants. Where your target customers spend time. How to speak your ideal customer’s language. Most companies gloss over this crucial step. Oftentimes, the sales force believes they know who their prospects are, but no one has done the research to flesh out a clear picture of the ideal candidate, their needs, how they acquire information, their worries, the decision-making group they are in, and more. Having a clear buyer persona makes it easier to execute the other elements of your strong inbound marketing plan, and it gives you the information you need to lay a strong foundation for the rest of your strategy. The core of strong inbound marketing plan is an opt-in strategy driven by a lead magnet on your website. Audiences “opt-in” to receive the lead magnet. They give you their contact information while showing that they’re interested in what you do or offer. This act creates a valuable, qualified and segmented lead for your business. For a website to be an effective part of your inbound marketing plan, it must be designed to draw users to the lead magnet so they opt-in and become a lead. It’s not enough to only have a lead magnet on your website. To support a strong inbound marketing plan, your website also needs content that shows your authority and builds trust with your audience. Strategic: Use call-to-actions at the end of each page to drive audiences through a funnel that leads to your opt-in. Keyword-focused: Create content based on keywords your target audiences uses to catch their attention and draw them to your pages through search. Informative: Use detailed landing pages that explain your offerings and their benefits and unique selling propositions. Trustworthy: Regularly publish blog content that shows your knowledge in your industry, helps audiences get to know you better, and keeps your site filled with fresh content. SKIT content develops a strong website foundation that gives audiences the information they need as they decide if they want to do business with you. Filling your website with SKIT content is important, but that alone won’t bring traffic to your website. Even if you fill your website with content, you can’t expect visitors to roll in. Even if you have optimized pages for SEO, you still need a boost to draw in viewers. You get that boost by having a content promotion plan. A content promotion plan is a part of a strong inbound marketing plan that drives traffic to your website. This plan will be widely shaped by your buyer persona. You want to promote content in different places depending on your audience. Seed your content where you know your audience spends the most time. There are many options for digital advertising and content promotion. Don’t try to do it all. Just focus on the tactics that will be most likely to connect with your ideal customers and clients. Even with a fantastic website that follows all of the best practices for inbound marketing, not all of your website visitors will become customers or clients. You usually need to get in front of a potential customer a few times before they choose to do business with you. You can do that through a digital re-engagement and nurturing plan. Email Newsletter: You collect email addresses from your entire audience and stay in touch with them (and at the top of their mind) by sending a regular email newsletter. Retargeted Ads: You place a cookie on your website that triggers showing “reminder” ads to the visitors who have visited your website. Email Drip Campaign: You track a user’s actions, and through marketing automation, you send them an email series that is specifically designed to target people who have completed that action (such as opting in to receive a specific ebook, viewing a certain product page, etc.). With a digital re-engagement and nurturing plan, you bring the cycle of strong inbound marketing full circle. You keep interested audiences in a funnel that increases the chances of them turning into paying and repeat customers. These are just the essential elements of a good inbound marketing plan. There are many other ways to refine, optimize, and add to this system to improve its performance and produce better results. For even more tips on how to improve your inbound marketing strategy and set up an online presence that attracts high-quality, qualified leads, get our free ebook.